If you’ve found yourself with the urge to smoke, but you’re stuck indoors, there may still be options. 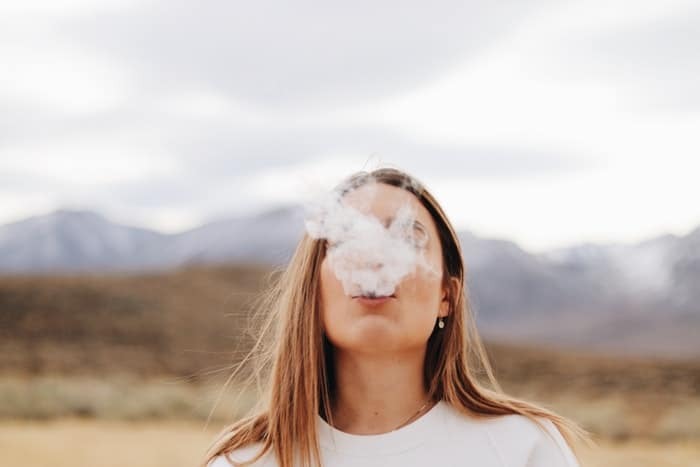 Of course, it’s always best to smoke outdoors, since there is better ventilation and the smoke has more areas to dissipate into (that aren’t parts of your home). But with that in mind, if you’re still needing to smoke indoors, we have a few tricks on how you can smoke in your room without smelling it. 1. Turn on an air purifier. 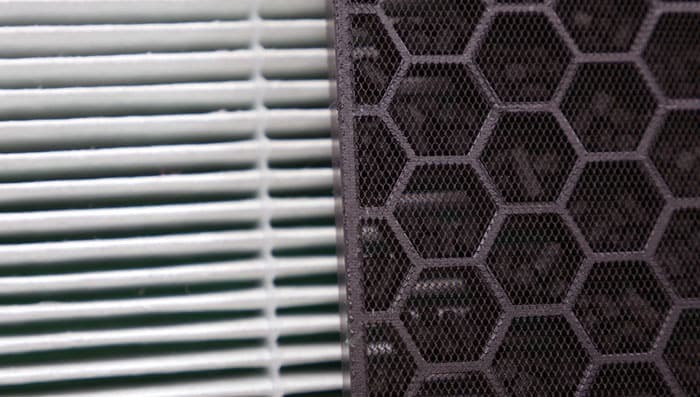 One of the best ways to treat indoor smoke is by turning on an air purifier. Air purifiers work by pulling air from the environment through a series of filters to remove harmful particles, bacteria, and odors. 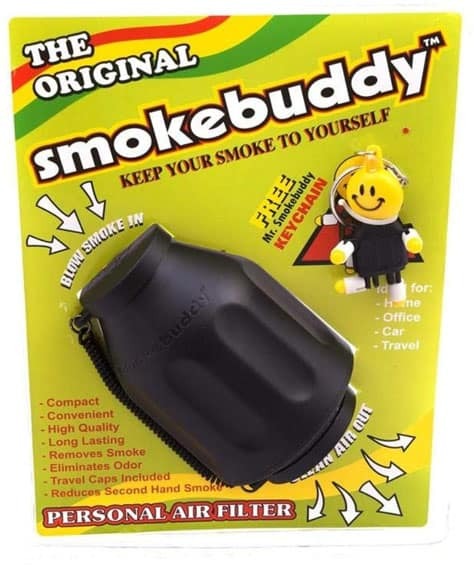 BUDGET OPTION: For a budget option that uses the same charcoal material, consider the Smoke Buddy. This product allows you to inhale as you would normally, but as you exhale, you exhale into the device which filters the smoke into the Smoke Buddy, drastically limiting the amount of smoke that can escape into your room. Where you can, try and open up a window while you smoke. The open window provides more ventilation and gives the smoke an area to exit so that it doesn’t linger in the room and settle. Once it’s settled, it can be harder to remove the smoke smell. As you smoke, try to exhale directly out of the open window. Again, this helps to get the smoke out of the room as quick as possible. The longer it lingers, the longer it lasts. 3. Close any air vents. Now this one may seem counter-intuitive, but be sure to close off any interior air vents. Smoke that gets into the air vent can be easily sucked through your HVAC system and travel to many rooms in the house in a short amount of time. This is especially critical if you’re trying to secretly smoke in an interior room of the house. 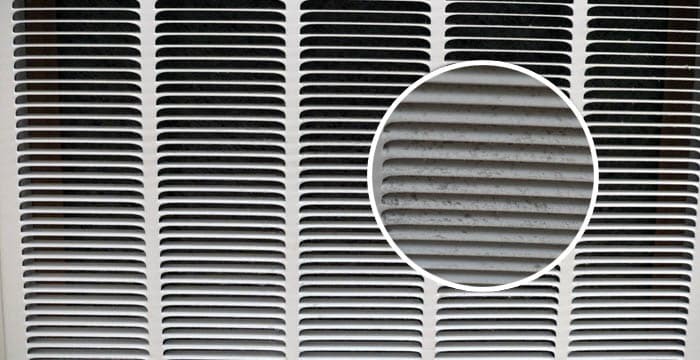 Parents, roommates, spouses, or children can quickly detect smoke that travels through the air vents into adjacent rooms. How to quickly close an air vent? Most air vents have little metal levers that slide forward and back, opening or closing the vent. For added protection, you can also tape a plastic bag or piece of paper on top of the vent. If you block the vent, be sure to take it off after you’re done smoking to return proper ventilation to the space as well as not raise any suspicion. 4. Put a wet towel by the closed door. With blocked vents inside the room, the last line of defense against the smoke sneaking out is to protect the air gap at the bottom of the door. Just like smoke can sneak through vents, it can also go under doors. For a quick fix, throw a towel or a pile of clothes on the floor by the door. This extra fabric helps to keep the smoke from exiting the room. For even better coverage, try getting the towel wet. Smoke has more trouble traveling through moisture so this is just an extra barrier. Remember that song “smoking in the boys room”, a 1970’s classic about lighting up in the bathroom? Not only was this song immensely popular, but they may have been onto something. Smoking in bathrooms hold a few bit advantages over other rooms. Tile floors reject odors: Most bathrooms have tile or linoleum floor, both of which are better at resisting a smoke smell compared to carpeted floors. 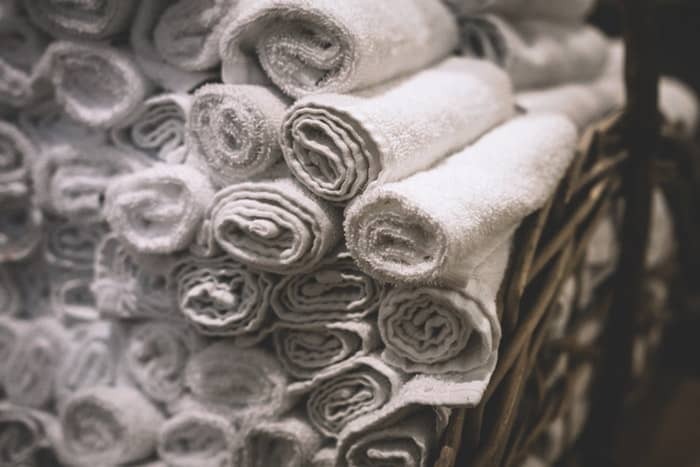 Wet towels make sense: Using the wet towel trick, it can be hard to smoke and use a wet towel at the base of the door in any room besides a bathroom. If you get caught, a wet towel is just not going to make sense in any other setting. 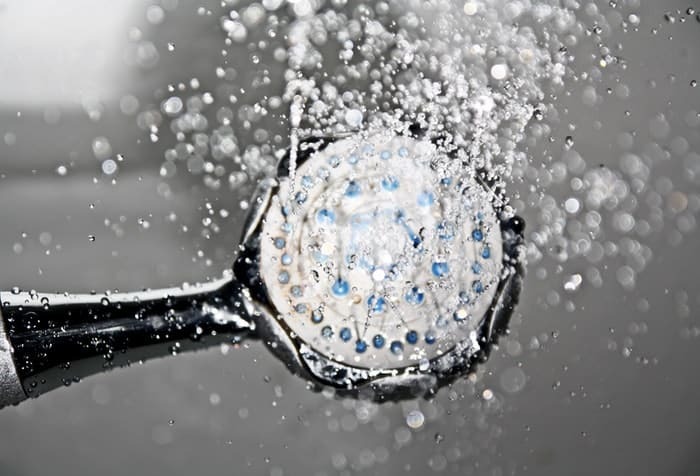 Turn on the shower: If you want to keep people from barging in and catching you mid-smoke, try turning on the shower. The steam will help to absorb the smoke and it guarantees a level of privacy. 5. Put your hair up & limit clothing. Smoke sticks to whatever it comes in contact with. If you’re trying to sneak a quick smoke, try to limit these items. 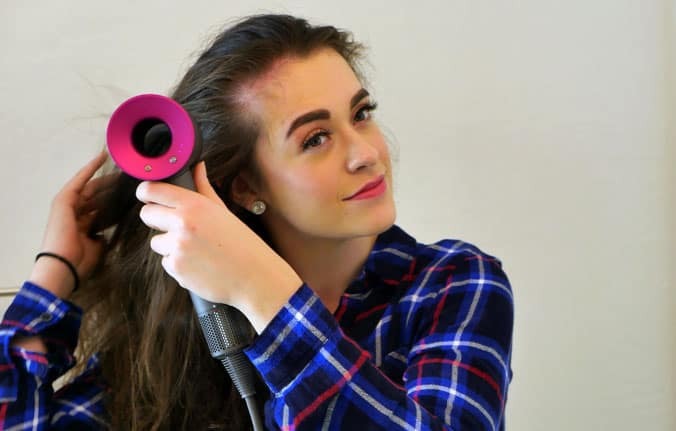 If you have long hair, put it up in a ponytail or bun and get it away from your face. Take off any jackets or long pants and instead opt for tank tops, shorts, and other tighter fitted clothing. You will likely want to change your clothes immediately after you smoke anyway to hide the smell, so it’s just easier if you limit yourself to just the basics. Whether you choose to smoke in the bathroom or any other room, it helps to use something to mask the smell of smoke. For the best results, light or turn on the fragrance dispenser before you start smoking. Then light up and enjoy your smoke. When you’re finished, douse the cigarette in cold water and allow the air freshener to continue to run. This helps to make sure that all the smoke smell is covered up. If you’re extra concerned, you can even leave the freshener running after you’ve left, but be sure to monitor it (especially if it’s a candle). Every extra minute that you spend taking a drag is one extra minute that smoke has to spread and settle into your surroundings. For the sneakiest smokes, try to limit yourself to just a couple minutes. Keeping it short, as well as following the tips listed above, you can certainly have a quick smoke without leaving lasting impressions in the room. Last, but not least, remember to freshen up after you’re done smoking. One of the biggest misconceptions that smokers may have is that people can’t smell the smoke because they can’t smell it. In most cases, this simply is not true. Think of it like a painter on the job. They are sitting in the midst of the fumes for a prolonged period of time. When they leave, they may think the air smells, but in most cases the smell of the paint can linger on their clothes or body. The same can be said for smoke. After you’re finished smoking, follow the fresh checklist below to help get rid of any smoke smell that could still be on your body. Still not sure how to smoke in your room without smelling it? 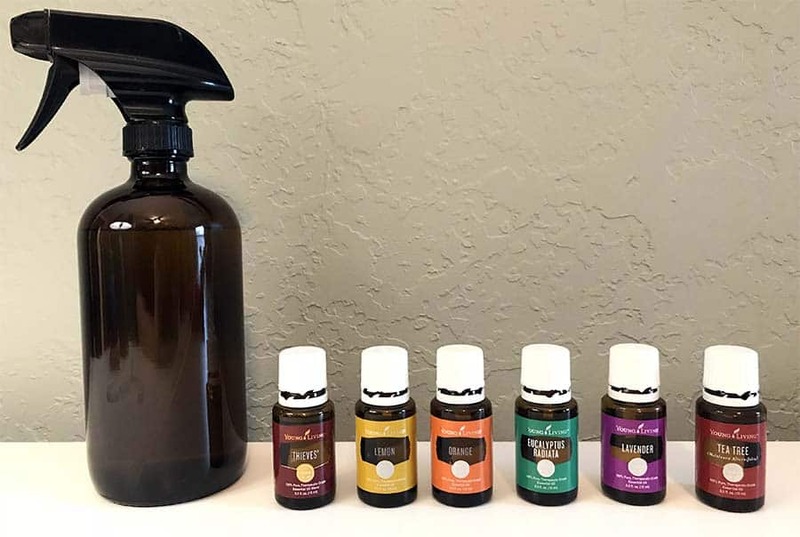 Using a combination of these tips, you will likely be able to enjoy a quick smoke without lasting effects on the room or having any other members of the household become suspicious.